Taking Center Stage DVD released - Pick this one up! Taking Center Stage: A Lifetime of Live Performances , released today, October 11. For more information about this DVD, go to the Taking Center Stage home page. 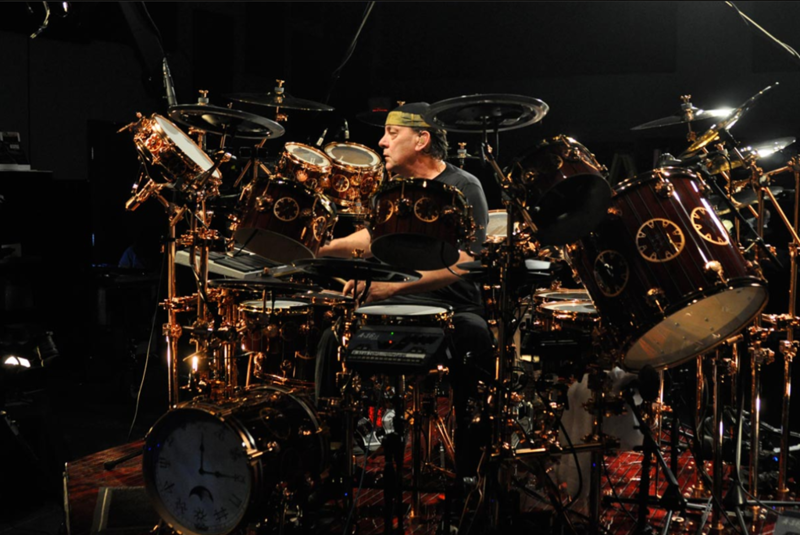 If you're a fan of Neil Peart, go out and get Taking Center Stage right now. It's that good. Nearly every song from the "Time Machine" tour is analyzed by Neil during interviews with co-producer Joe Bergamini. What makes the interviews so great is Bergamini asks all the questions I'd want to ask Neil about his drum parts. Key sections in most songs are shown in real-time and in slow-motion. This means you get to see Neil fly through those three "YYZ" solo fills -- and then get to see it slowed down. I was surprised at how much I'd never seen before. 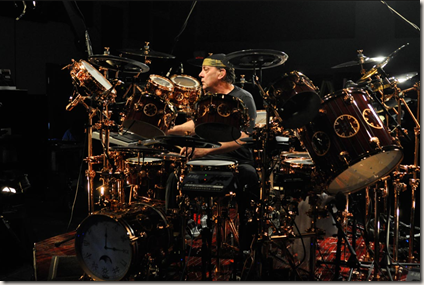 Each song is then shown during a Rush performance from drums-only cameras. The drum track is slightly louder than the bass, guitar, and vocals. All I can say is viewing Neil's performance from these cameras will give you a new appreciation of the man's talent. While the target audience is drummers for this DVD, I think many Rush fans will enjoy this DVD as well.